Imagine a day of receiving a help from someone you don't know, and in return all you have to give back is a sweet smile. To most of Pilipinos, it may be natural for it is in our innate character to help those who are need, but to these foreigners who testify how lovely and captivating our country and our people, I guess there are more reasons for us to be proud of our race - to be a proud Pilipino. I just saw this new video by the food chain giant Jollibee on Youtube, and at first I thought, I'll just be seeing an ordinary video that advertise their meatiest and tastiest products - but hey, I was wrong. I AM GLAD I WAS WRONG. Hearing such words from people - foreigners - from different parts of the world who experienced, first-hand, the contagious goodness of our race is so inspiring, uplifting and truly heartwarming. Those words are plain and simple but it reverberates to my system, to my heart and soul, that I'm sure any Pinoy who would see this video would make them so proud of our race. One story that caught my attention is of Marcus Davis. Being a traveler myself, I know how hard it is when you find yourself lost or just really don't know what to do and where to go. So, hearing from him how a Pilipino stranger was able to help him on his first day here in our country speaks definitely of our good race. We, Pilipinos, are born to help, and I haven't heard of a story here in our country that a local didn't help a foreigner asking for a direction. With a country as beautiful as this - almost paradise, actually - we take pride of what we have, an attitude that mesmerizes our foreign guests and make them come back or better yet stay here for good. "I'm a citizen of the Philippines now. And anywhere I go, a part of me will always be Pilipino." Though, we may not that be fully aware of how good our race is, which is actually good because being good is something we should be boasting about, I just hope that we keep spreading our goodness to everyone, regardless of race, color and social status. 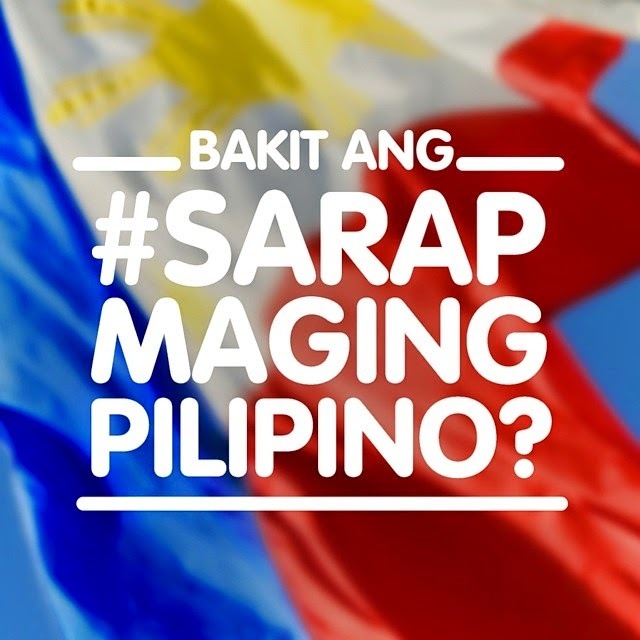 Masarap Maging Pilipino! Masarap kasi may Jollibee tayo! Mabuhay ka, Jollibee! You made me a proud Pilipino today! THANK YOU!